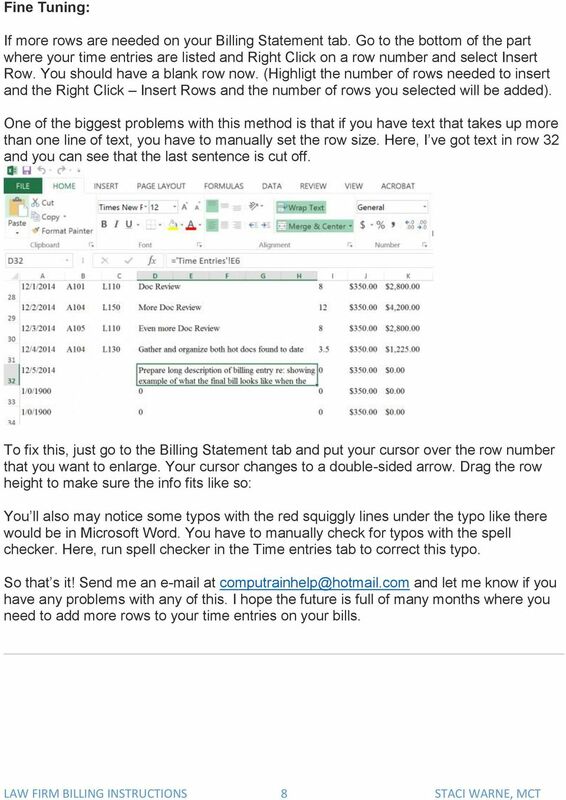 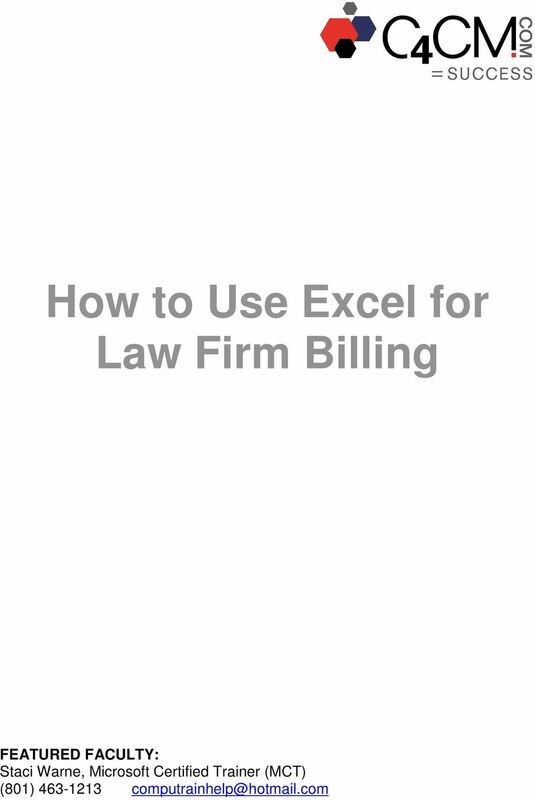 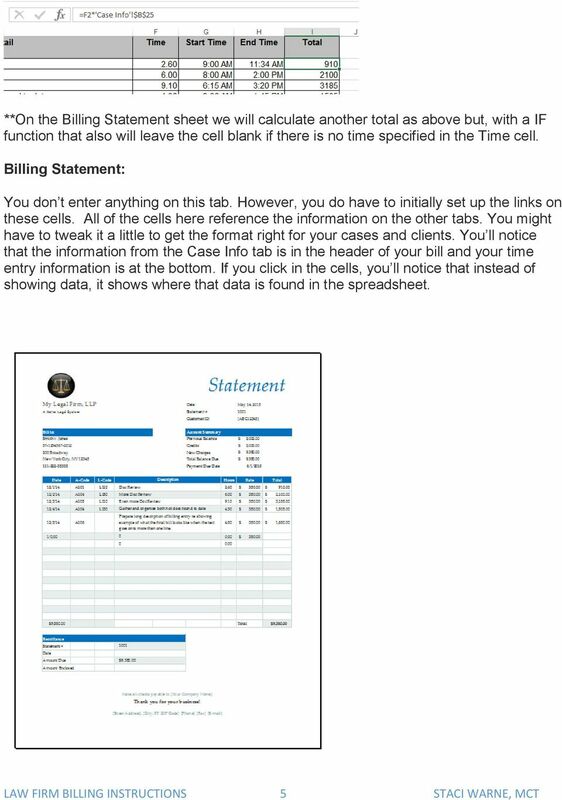 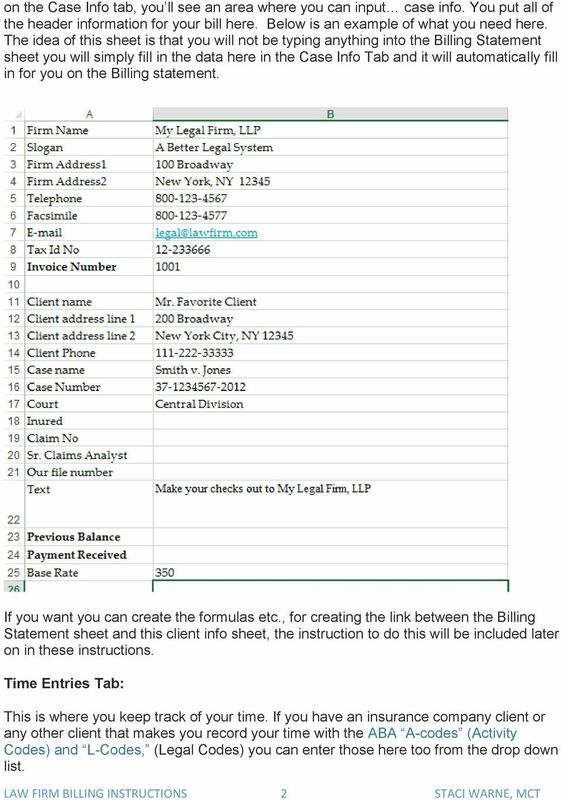 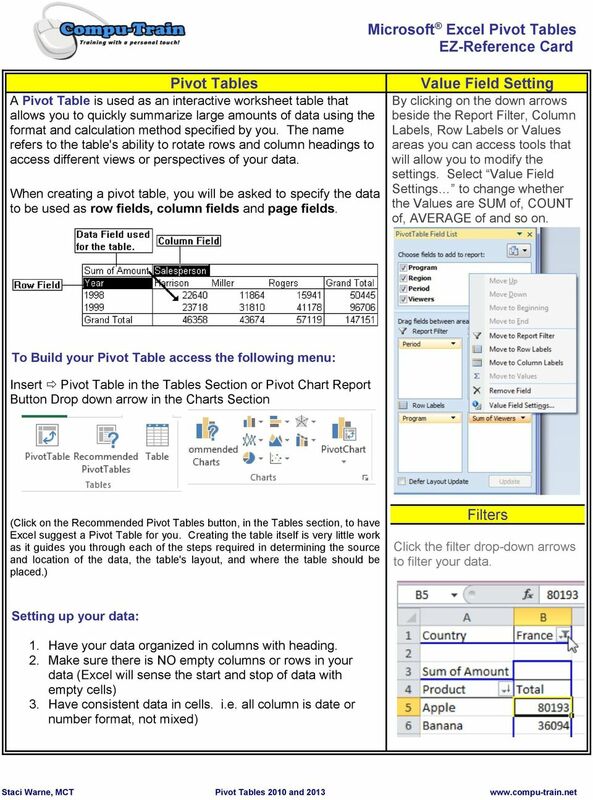 Download "How to Use Excel for Law Firm Billing"
2 Staci Warne, Microsoft Certified Trainer (MCT) Staci Warne is a highly skilled Microsoft Certified Trainer (MCT) with over 15 years of experience in training individuals, at any skill level. 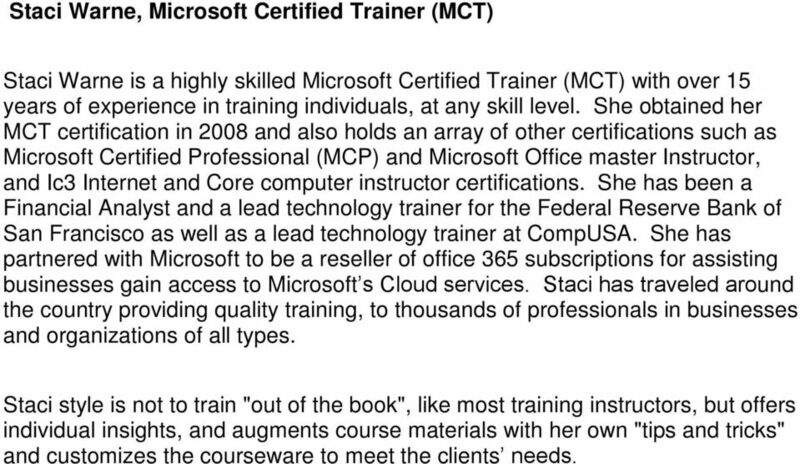 She obtained her MCT certification in 2008 and also holds an array of other certifications such as Microsoft Certified Professional (MCP) and Microsoft Office master Instructor, and Ic3 Internet and Core computer instructor certifications. 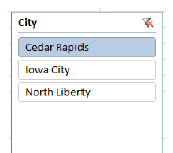 She has been a Financial Analyst and a lead technology trainer for the Federal Reserve Bank of San Francisco as well as a lead technology trainer at CompUSA. 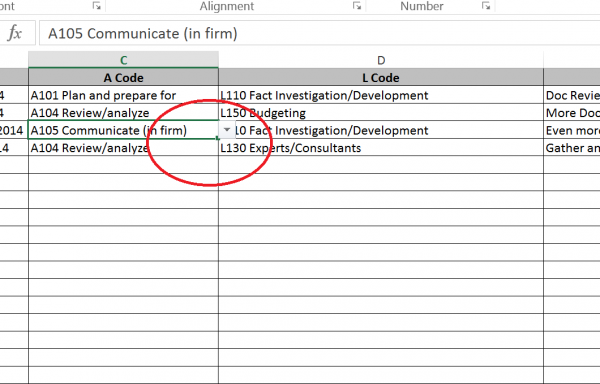 She has partnered with Microsoft to be a reseller of office 365 subscriptions for assisting businesses gain access to Microsoft s Cloud services. 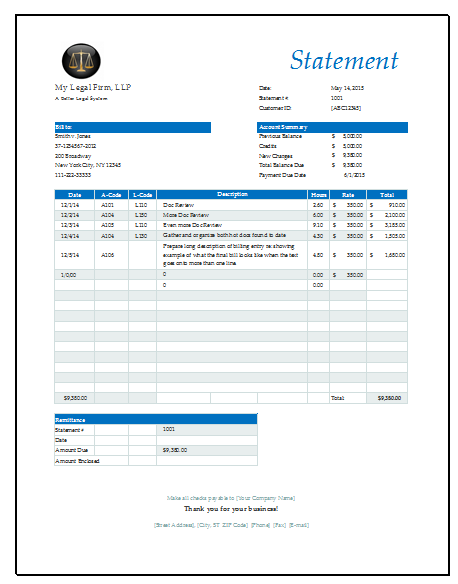 Staci has traveled around the country providing quality training, to thousands of professionals in businesses and organizations of all types. 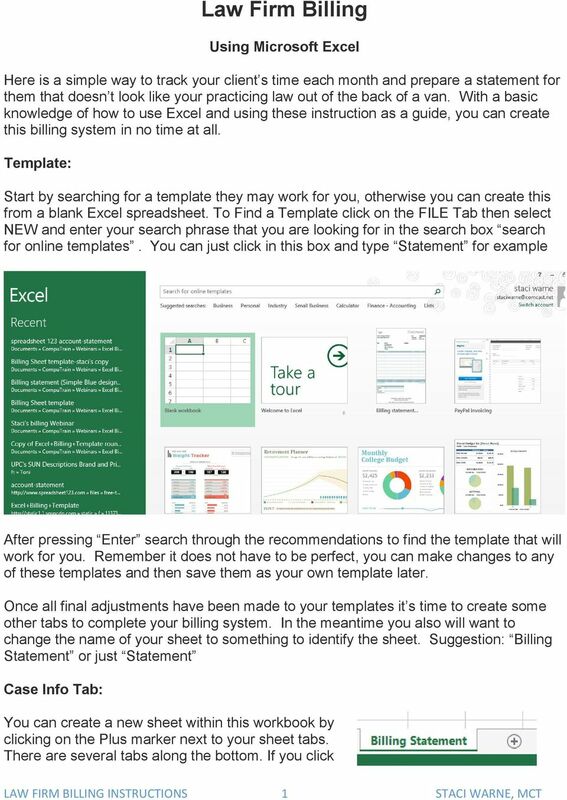 Staci style is not to train "out of the book", like most training instructors, but offers individual insights, and augments course materials with her own "tips and tricks" and customizes the courseware to meet the clients needs. 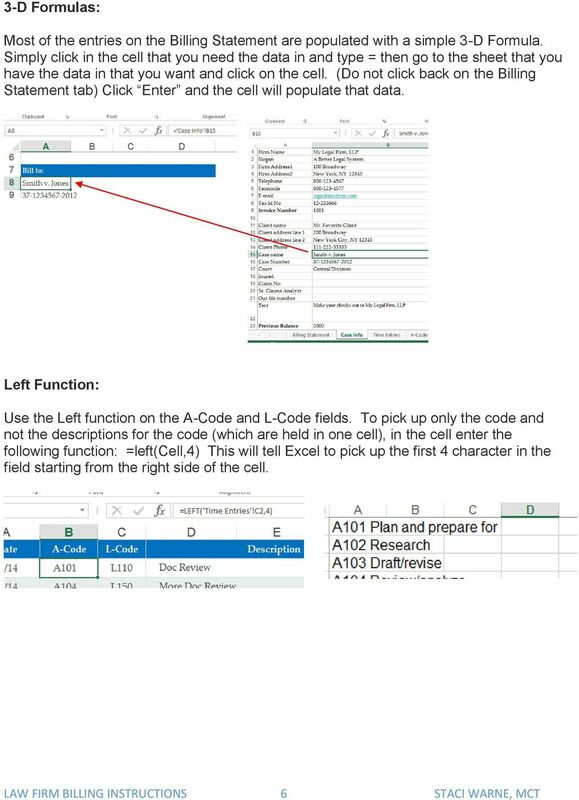 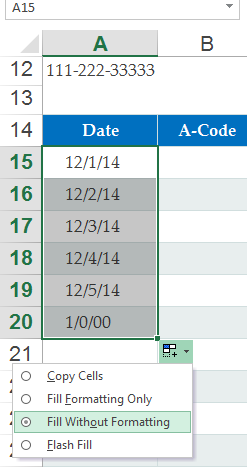 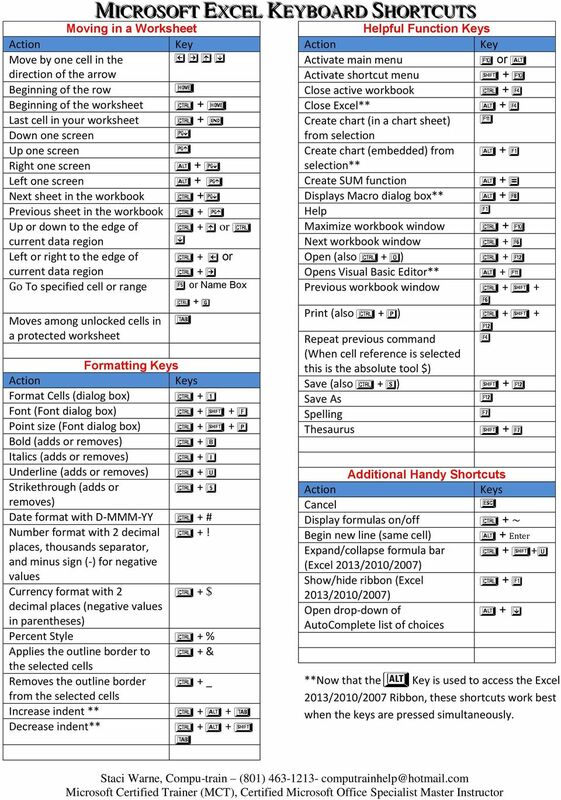 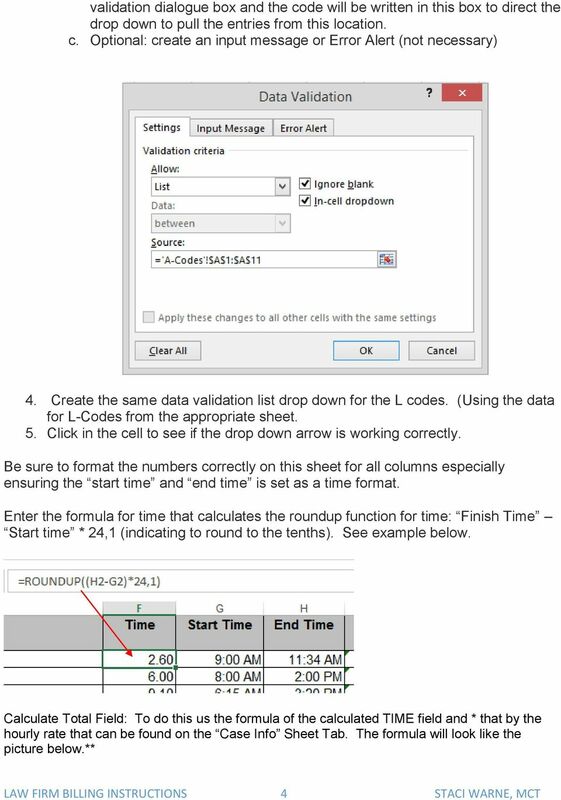 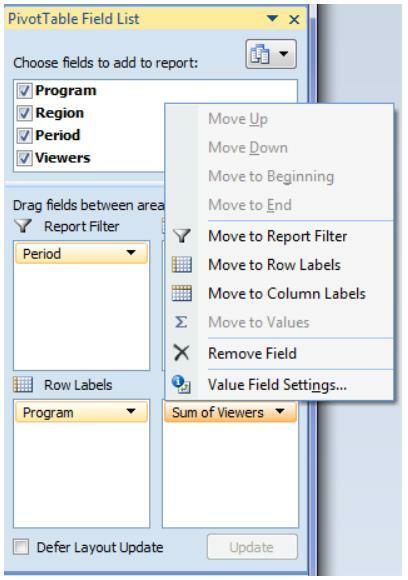 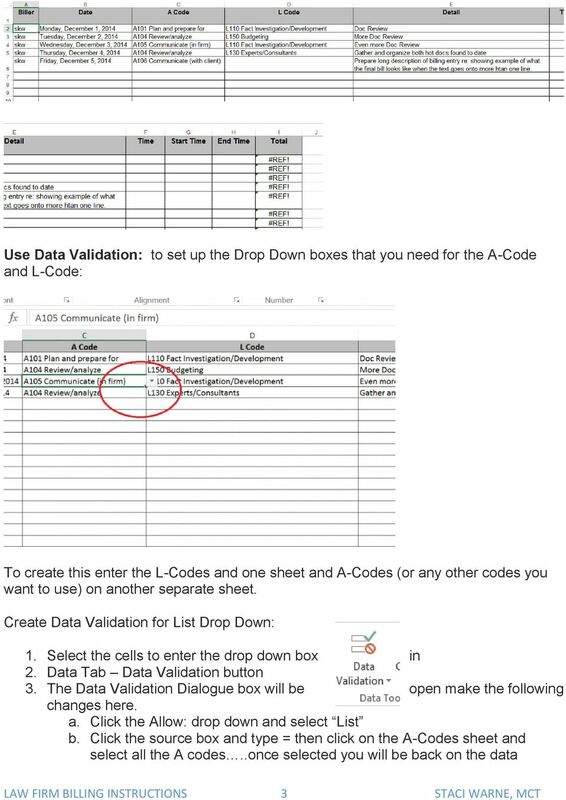 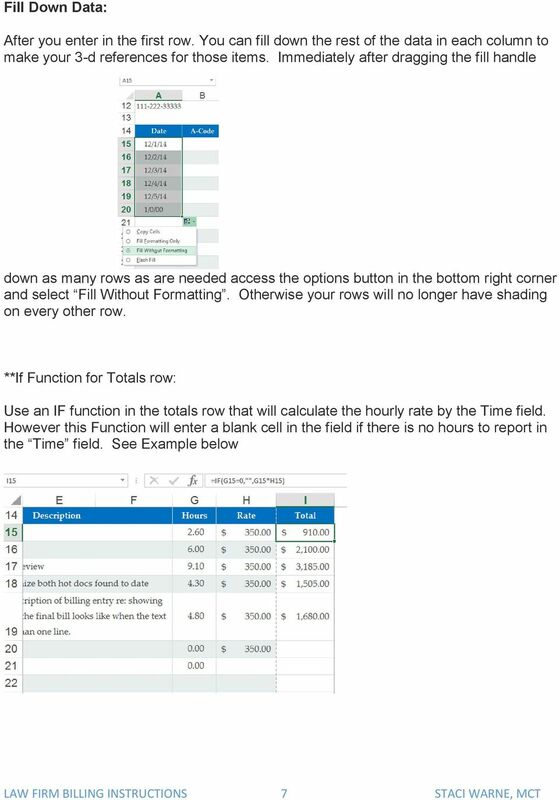 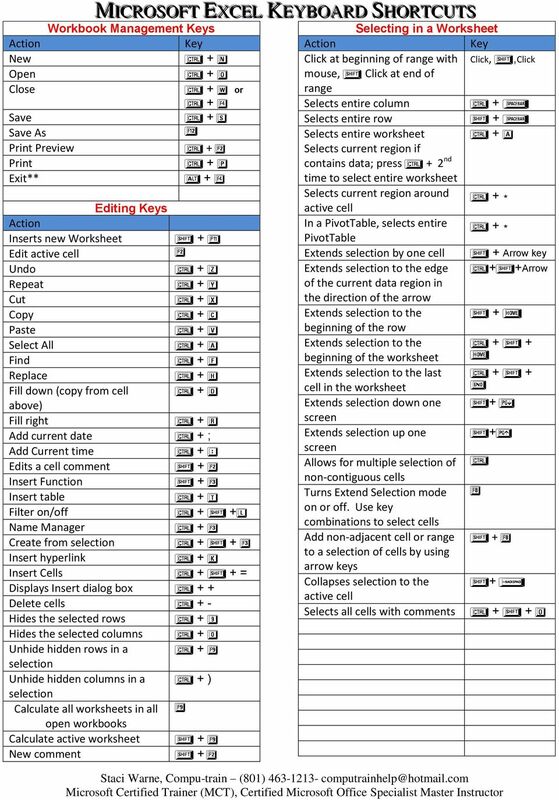 Copies the value from the cell above the active cell into the cell or the Formula Bar. 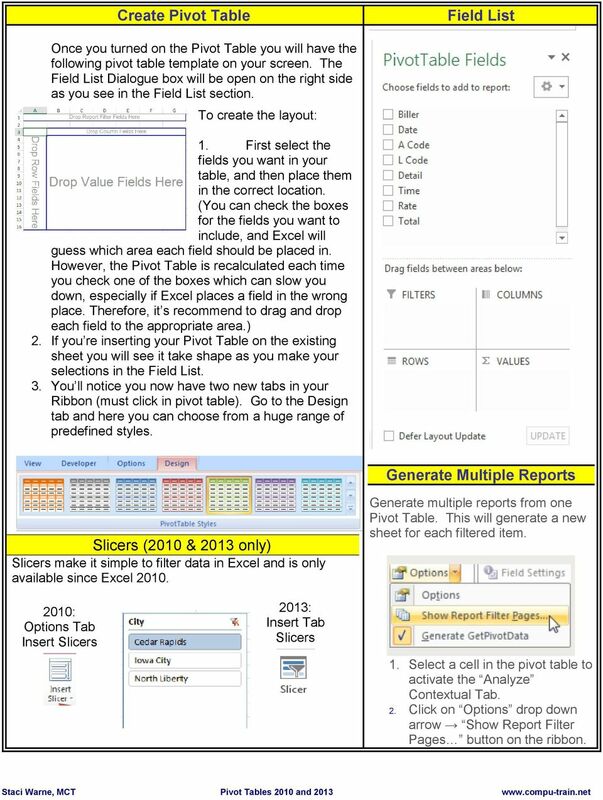 Displays the Insert dialogue box to insert blank cells.